In the final couple weeks of her pregnancy, Jessica Simpson enjoyed a nice lunch out at the Ivy with her fiance Eric Johnson on Saturday. The singer was pretty in a watercolor caftan dress that flowed over her growing belly. 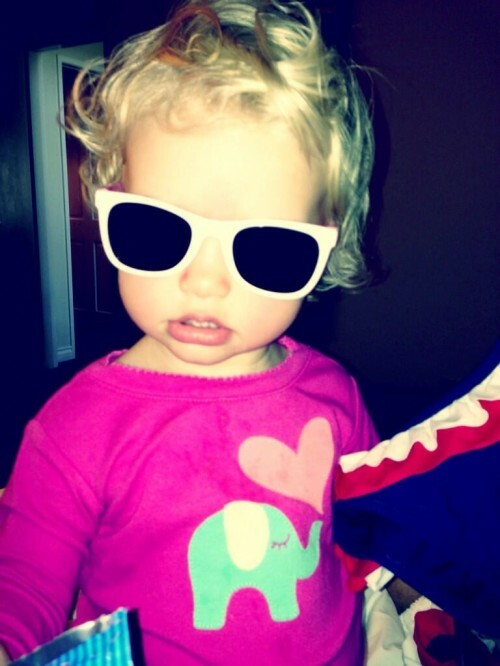 After her lunch date Jessica tweeted a picture of her little lady wearing sunglasses. On top of becoming a big sister, Maxwell may get to also be a flower girl in the near future. Because it will be the second wedding for both, the affair will likely be low key and more casual.